Anyone who has ever developed with Drupal will know that jQuery was an amazing addition to the Drupal toolkit as of Drupal 5, but you have to be a developer to make use of Drupal as there’s already a great selection of modules using some great jQuery plugins. This great little module is a lightweight version of the jCarousel plugin that allows you to create scrollable lists of content which can be a good way of fitting lots of content in a small area. Carousels can be horizontal or vertical and a stack of settings to allow you to customise the carousel. No coding needed as it is already integrated with the views module and node module. The easySlider module also offers similar functionality. The jQuery Media plugin will automatically turn links to media into their embedded media equivalents. Works great with the file field CCK module to for example convert URLs to Flash Videos into a Flash Video player. This module provides a cool feature content gallery block containing a teaser and title from your selected content types. No views integration yet which is a shame but is is planned for the near future. Both these modules offer very similar functionality and provide pop-up overlays for your images and HTML code. Both are lightweight and offer a great alternative you standard pop up windows. All three of these modules provide roughly the same functionality of hover tips for images and HTML content. They are all available for Drupal 5 and 6 so which one you choose is up to you! 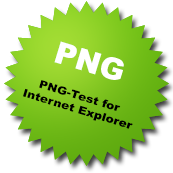 This module fixes IE 5.5 & 6’s bad rendering of transparent PNG images. Works with embedded images (img tags) and CSS background images. This module provides a cool feedback tab and form on each page of your site to allow users to give quick and useful feedback on the current page they are on. Useful little module that prevents users submitting the node form more than once by hiding the submit button after it’s clicked. Provides live previews for nodes and comments by using Ajax to submit and render the preview with needing to refresh the page. This helps speed up and simplify the node and comment submission process. 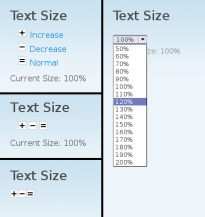 Allows user to increase and decrease text size throughout a Drupal site making it better for Web Accessibility. And the list could go on and on but I’ve tried to pick out cool modules that are available for both Drupal 5 and 6, I know Drupal 6 has even more jQuery based modules which I’ve not mentioned. Feel free to add your favourite jQuery based modules as comments below! Tom – this is something I’m really interested in. Ajax is something I really don’t know much about. I’m actually in the process of looking for an ajax solution to a problem I have currently. I would like the ability to have a link within a node that, when clicked, would pull in the content of another node via ajax. I’m sure this is possible, but I don’t know where to start. Can you help me with this? I would like the “[Read Commentary]” links to provide this functionality. Any suggestions? Yeh jQuery is great and the syntax is very simple and logical. Thanks for the Cliff Notes Tom. I know you can dig all over to get this stuff but now I know I can check in on your summary. Well I’ve done it! I’ve written my first jQuery plugin. The plugin creates rollover balloon-help style tooltips for any element on your page. While there were a few different tool tips plugins that existed for jQuery, none of them seemed to quite meet my need for a NetFlix (or Google Maps) style talk-balloon popup. This is one of the reasons why so many of us shell out for better internet service, and wireless utilities. It’s worth a payday loan to keep one’s self from having no internet. IsaiahR – so… you gonna share the wealth and post the fruits of your labor so that we can glean the corners of your field? Drupal is considered the best system for managing content in your website. It is written in PHP language and requires a MySQL database. It can be easily used for building various types of web pages such as simple blogs and large online communities. Thanks for sharing this great modules.It will be very useful in developing the websites. Hi guys, I’ve been playing with the jq_eyecandy module. The gradient and curvy corner features are great, but I’ve been running into performance problems that seem to be related to this. Should I expect better performance on graphics for this that the jquery way? Thanks for sharing the information.I will try out this on my own. wine tasting clubs. Joomla and WordPress is my best friends in building webs all these years. I can meet almost all my clients request based on those two. Tried others like oscommerce and even Drupal, but back to those two right away. People looking for low fee cash advance loans usually need the money as fast as possible. These loans are generally required to pay a late bill, handle a financial or medical emergency or cover a payment between paychecks. Very useful tips here. I really appreciate you taking the time to teach people with this tutorial. Amazing jQuery, it has given me so much surprise. I didnt know the JQuery existed. It just goes to show again, that Drupal is the best platform out there and this is why the higher class companies use it.